Nearly everyone has identified with a character or celebrity who embodies some part of their personality they're not proud of. Take Molly's self-sabotaging dating choices in Insecure, So Sad Today's navel-gazing tweets about depression, or Future's nihilistic lyrics about hedonism and detachment. These aren't traits or behaviors anyone would want to include in their bio, but seeing them play out in pop culture and the media is a reminder that everyone goes through things that don't align with their ideal selves. That gratifying feeling, of having darker, less-seen sides of ourselves acknowledged, is one of the key reasons why Wizard Apprentice's work is so appealing. The experimental singer and digital artist, whose real name is Tieraney Carter, sings about unflattering feelings that are hard enough for listeners to admit to themselves, let alone to strangers who aren't their therapists. But as confessional as her music is, the artist seems most comfortable delivering her radically honest message through a digital screen. In her live shows, she sings candidly about self-doubt and jealousy; getting hurt and hurting others. After baring herself in verse, however, she crouches down and disappears from view while an animated projection of herself explains her lyrics in a robotic, text-to-speech voice. "I'm an introvert, but I also am kind of an exhibitionist," Carter tells me over Skype -- which, in the context of her work, seems like the most appropriate medium for our interview. "I think the reason I am so introverted is I'm afraid that there's not enough space or acceptance for my whole self in public spaces." Her digital work, however, is where she opens up completely. While other artists tend to present themselves with a sheen of optimism, proclaiming their belief in themselves and their skills, Carter has a song, "I Am Invisible," about the possibility of creating work that will ultimately go unnoticed by most people and institutions. The track, she says, came out of her own battle with jealousy. "I definitely have challenges with that a lot, in terms of seeing different friends gain more visibility or seeing extremely famous people and feeling jealous or feeling desire for those things." The lyrics of "I Am Invisible" are an affirmation that helped Carter focus on herself instead of feeling envious of others. "I am free from the pressure of being special / I welcome the potential of being mediocre / I welcome the likeliness of being anonymous," she sings over atmospheric synths and sporadic blips. Her singing style is unadorned, even a little mumblecore, as if she's putting her diary entry to melody. "I Am Invisible" is brutally honest, but, ultimately, it flips a potentially depressing statement into something more liberatory. "It is enough to be myself / To have myself as an audience," Carter sings, as if reciting a prayer to rid herself of the impulse to compare herself to others. "I think it's hard to make art or music without being hassled by this celebrity or fame narrative that's so dominant," she says. "It's hard to figure out what other pathways there are as an artist." The Jungian psychological concept of the shadow self is a major guiding principle in Carter's work. The shadow self is the subconscious, where suppressed emotions and personality traits reign. And "shadow work," the process of acknowledging, processing, and seeking wisdom from these darker feelings and impulses, has become a popular concept in self-help and spirituality, especially among millennials who are likelier to trust Instagram gurus than organized religion. Carter learned about it from a YouTuber named Teal Swan, whose videos she found when she was going through a period of heartbreak. "I do a lot of highly customized spiritual practices," she says with a laugh, citing meditation and Yoruba as two major influences. "I feel like a messy, grab-bag spiritual person. I'm a little afraid of organized traditions, so it's hard for me to try to get deep into a practice with a particular temple or house." Carter delves into her shadow work practice with "Shadow Sundays," a YouTube series where she shares her journeys in self-reflection. In one, she candidly talks about how her self-image was throttled by a bad haircut. In others, she openly discusses her relationship with money and the cognitive dissonance she feels when her life doesn't match up with her progressive political ideals. Her candid self-reflection opens up unexpectedly profound lines of inquiry. "I've spent a lot of time over the years actively getting to know painful emotional states within myself," she says in her video for "Keep It Cool," a song about concealing her attention-seeking ways. "It seems that if they trust me to listen, they come more gently and leave more quickly." At this point, Carter is a self-taught expert, and she's facilitating a workshop on shadow work on Jan. 27 at PAM, an experimental theater in LA. 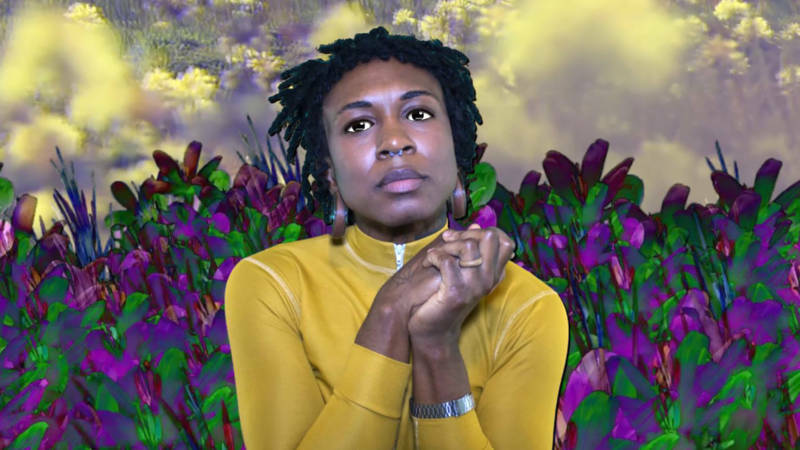 The class is a fundraiser for Practical Records, a new tape label Carter is involved with that spotlights queer, experimental artists. Carter, who is loosely based in Oakland but has traveled frequently over the past several years, will be back in the Bay Area for a few weeks for a Practical Records show at El Rio on Jan. 19 before hitting the road again for tour. A lot of the dates haven't been booked yet, but Carter has faith in her network of underground artists -- spanning from Seattle to Gainesville, Florida -- whom she's met through touring and her cult YouTube channel, U.R.L.G.U.R.L., where she also interviews fellow queer, experimental artists as a fictional, masculine persona reminiscent of Sway from his MTV days. For all the emphasis on shadow work in her practice, Carter's work doesn't bring about pessimism -- quite the opposite, actually. By inspiring listeners to confront their difficult, ugly emotions, she helps them emerge feeling a little wiser and a little lighter. Wizard Apprentice performs at El Rio in San Francisco on Jan. 19. More info here.